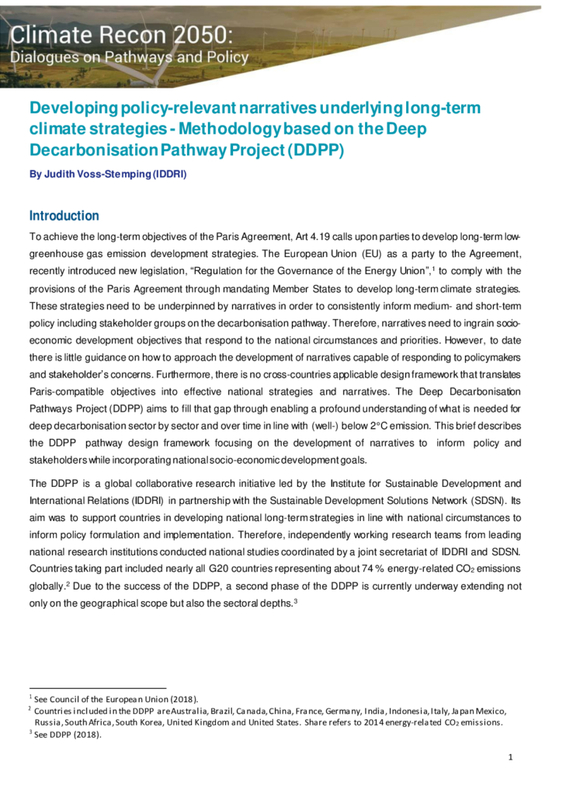 The Paris Agreement and, recently the European Union (EU) through its new legislation “Regulation for the Governance of the Energy Union”, stipulate upon its parties and members to the EU to develop long-term climate strategies. This note describes the DDPP pathway design framework focussing on the development of narratives to inform policy and stakeholders while incorporating national socio-economic development goals. This paper is part of EUKI project Climate Recon.